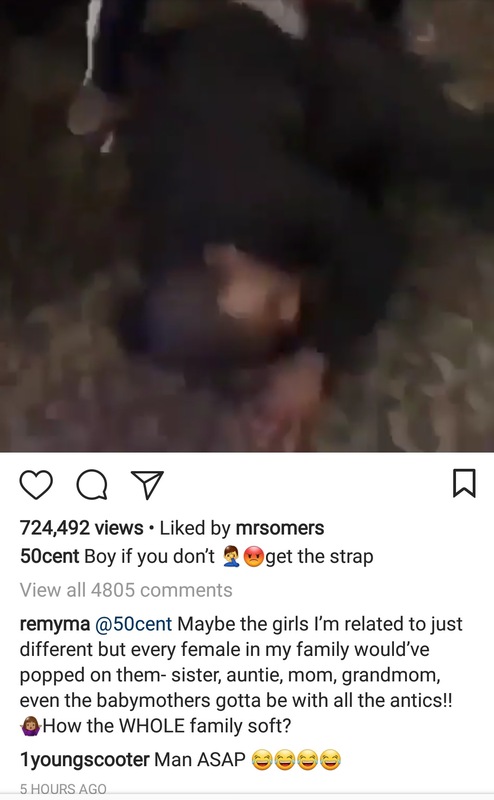 Why Are 50 Cent And Remy Ma Clowning Hell Rell? Randomly, 50 Cent just starts making fun of Dipset's former tough guy. (AllHipHop Rumors) DAMN RELL? Hell Rell - once one of the most feared men in the streets of New York - has been reduced to this? To keep it in perspective - HE HAD BULLET TEETH ON HIS ALBUM COVER! As far as I know, he just fell off the rap radar after he was incarcerated. He came back and the whole Dipset situation was different. He was sort of all alone in the rap world. Well, I think he still is, because 50 Cent is now going in on him ALL LATE. Rugger got beat up in a restaurant while he was eating with his family. This was the climax of a couple situations of street beef. But all of that is old...until 50 Cent randomly put my dude on his IG yesterday. Remember when Joe Budden said some funmy stuff about Hell Rell and it looked like it could turn violent? Well, when 50 Cent did it, Rell got the giggles and let it be known he got his gun on him now. I hope my G ain't an honest felon, because he just told on himself. I don't see 50 signing Hell Rell to G-Unit, but it definitely would not pay to get all mad on social media. And then Remy Ma jumped in! Did he want to get away from Jim Jones and pick an easier target? I dunno. UPDATE!!!!!! HELL RELL IS BACK!!!! The only thing is: is that Relly? I can't telly with his back turned! FCK DIPSHT! Sleep Jimmy & Cam tha Pink FAIRY!